As we reported previously, a new minigame has been in the works for EVE Online that will allow players to help scientists discover actual exoplanets. Now the game, named Project Discovery, has officially launched and pilots of the expansive space MMORPG can finally do their part for science. EVE Online’s creators, the Icelandic indie game company CCP (my countrymen!) teamed up with Massively Multiplayer Online Science (MMOS), the University of Reykjavík, University of Geneva and Michel Mayor — winner of 2017 Wolf Prize for Physics and discoverer of the first exoplanet known to man. 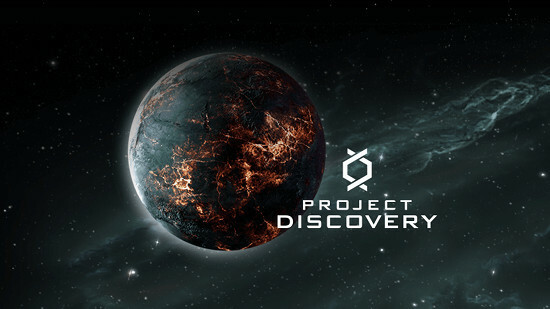 Project Discovery is basically scientific crowdsourcing where EVE Online players can review astronomical data from the CoRoT telescope. Once enough players have reached a consensus about the possibility of an exoplanet, the data will be sent to scientists at the University of Geneva. To pass the time during long space treks, players can access the minigame and receive graphs, or ‘light curves’, that represent measurements of the luminosity of stars. By detecting where the curves dip regularly, players can possibly detect previously unknown exoplanets. Nothing has been decided on the naming conventions yet, should a exoplanet be discovered through Project Discovery/EVE Online. We have however seen many players joke about possibly found planets being named Jita, after the main trade hub solar system in the game. There’s therefore still hope for us normies to etch our names in the sky, if the initiative proves successful — which isn’t that unlikely. Since 2006, scientists have discovered 37 exoplanets using data from the CoRoT telescope. Those planets include the ingeniously named COROT-1b, COROT-7b, and COROT-9b… so I don’t think it would be the worst thing in the world (universe?) letting EVE Online try their hand at naming exoplanets.